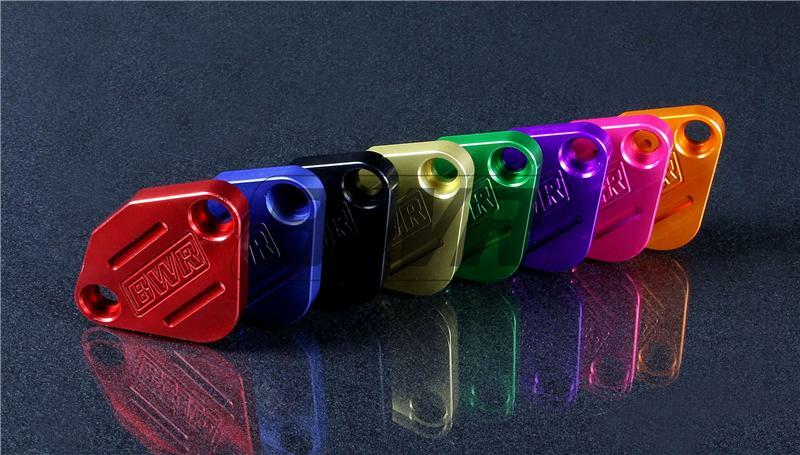 BWR EGR Block Off Plate UNIVERSAL - Dezod Motorsports Inc - Home of the automotive performance enthusiast since 2002. The Blackworks Racing EGR Block Off Plate is Made from High Quality Billet Aluminum, CNC Machined to perfection. This block off plate allows a seal the EGR Plate in your intake manifold. Designed and Manufactured in the USA. The Blackworks Racing EGR Block Off Places will fit Most Honda / Acura Applications. We have many different colors to choose from.